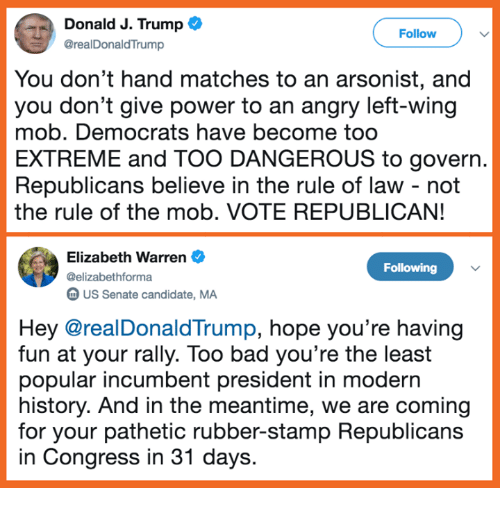 Bad, Elizabeth Warren, and Memes: Donald J. Trump @realDonaldTrump Follow You don't hand matches to an arsonist, and you don't give power to an angry left-wing mob. 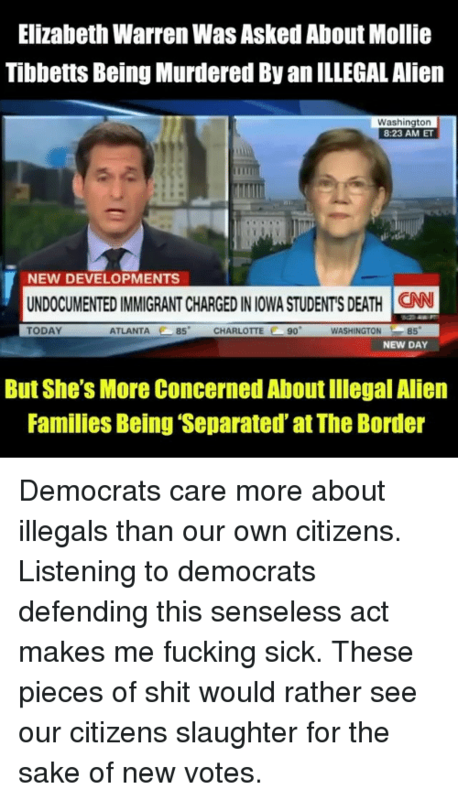 Democrats have become too EXTREME and TOO DANGEROUS to govern. 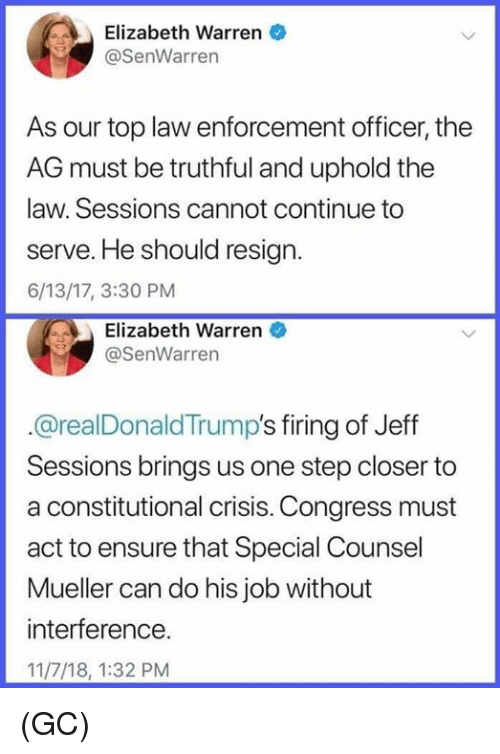 Republicans believe in the rule of law - not the rule of the mob. 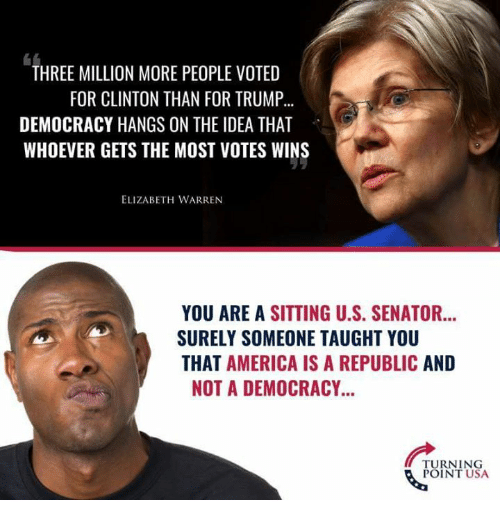 VOTE REPUBLICAN! 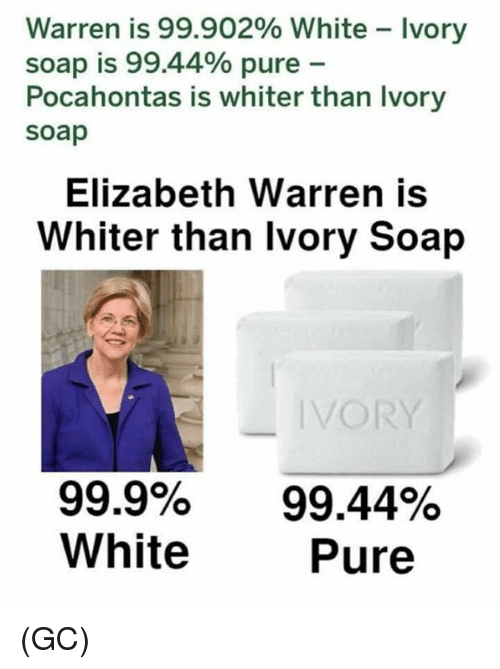 Elizabeth Warren @elizabethforma m US Senate candidate, MA Following Hey @realDonaldTrump, hope you're having fun at your rally. 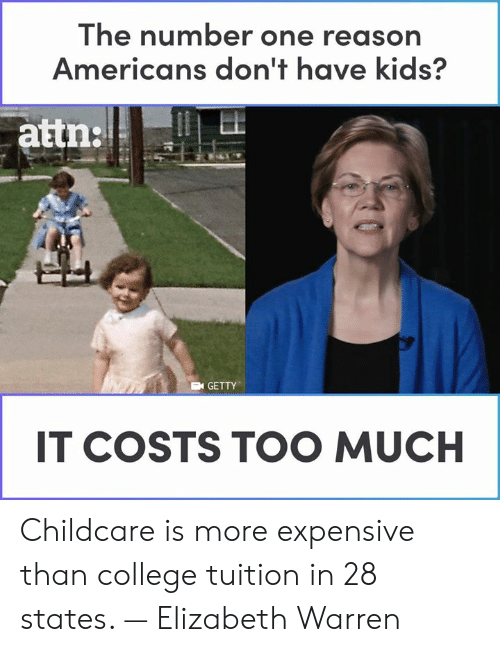 Too bad you're the least popular incumbent president in modern history. 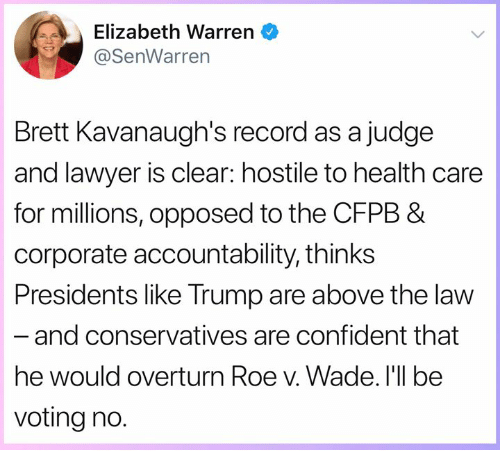 And in the meantime, we are coming for your pathetic rubber-stamp Republicans in Congress in 31 days. 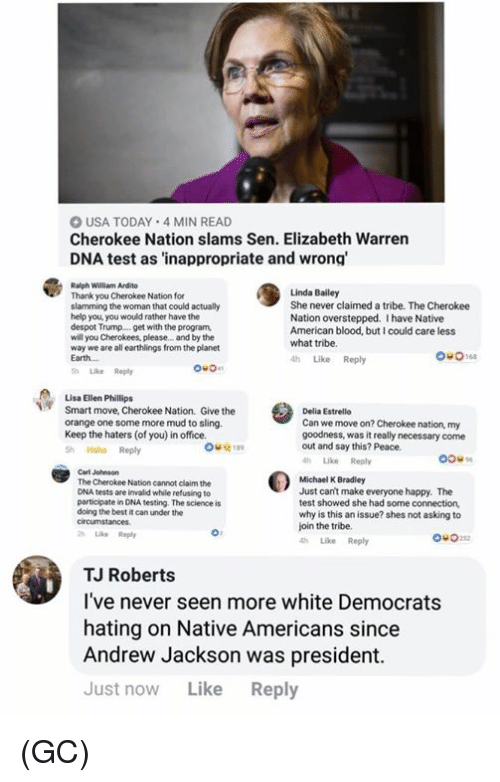 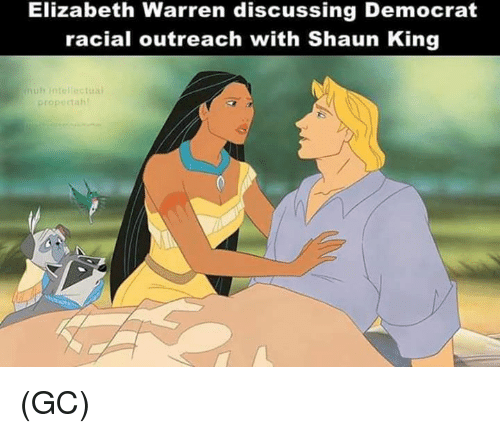 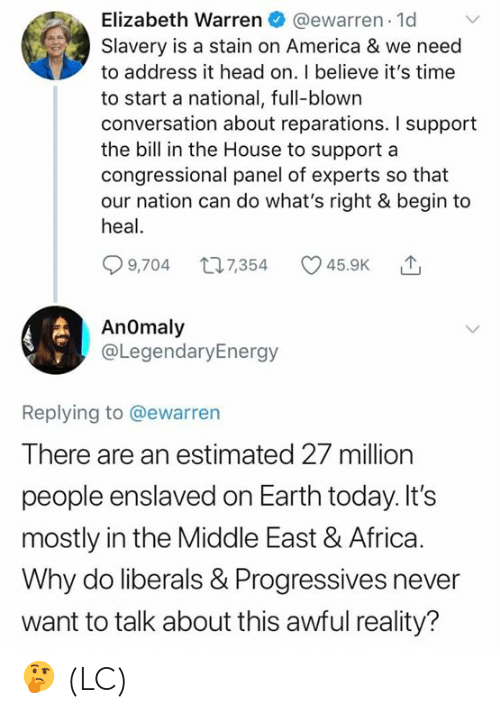 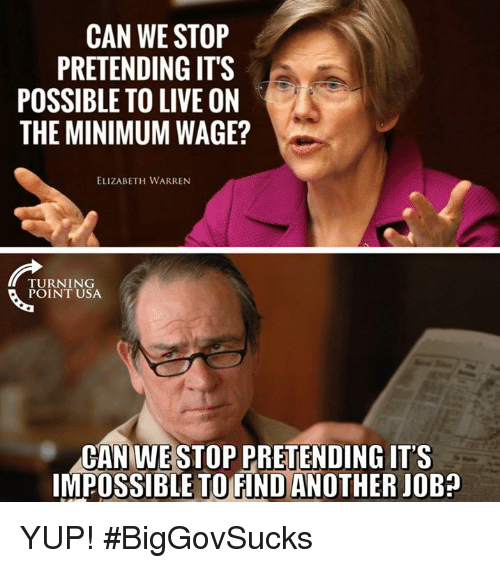 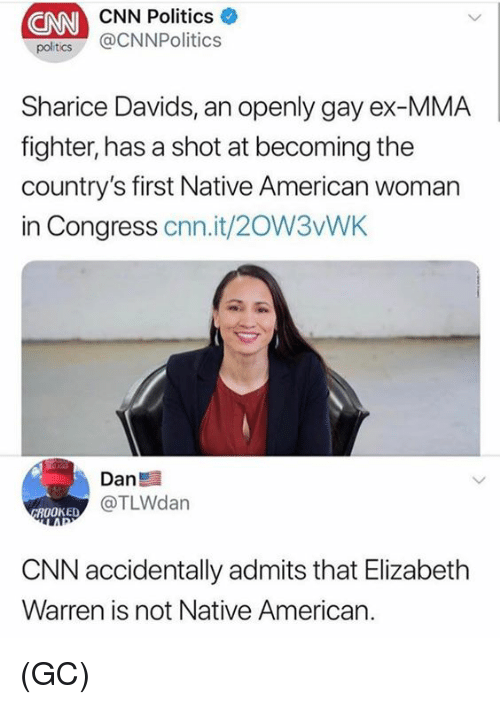 Elizabeth Warren, Memes, and Good: act.tv 8 20792282 D 2. 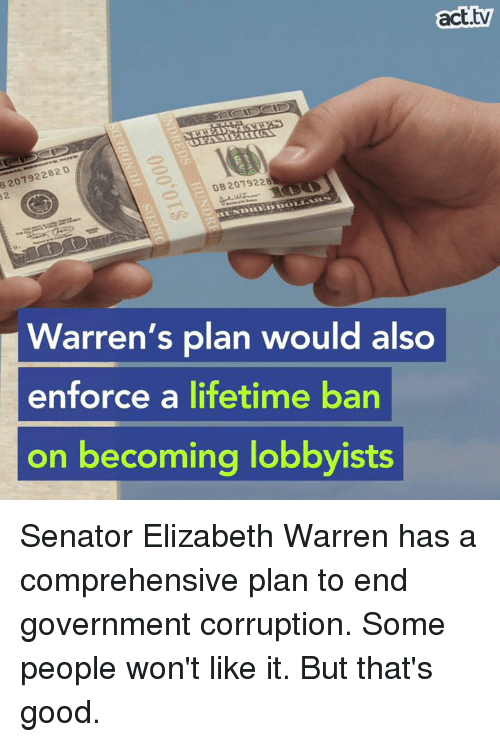 DB2079228 Warren's plan would also enforce a lifetime ban on becoming lobbyists Senator Elizabeth Warren has a comprehensive plan to end government corruption. 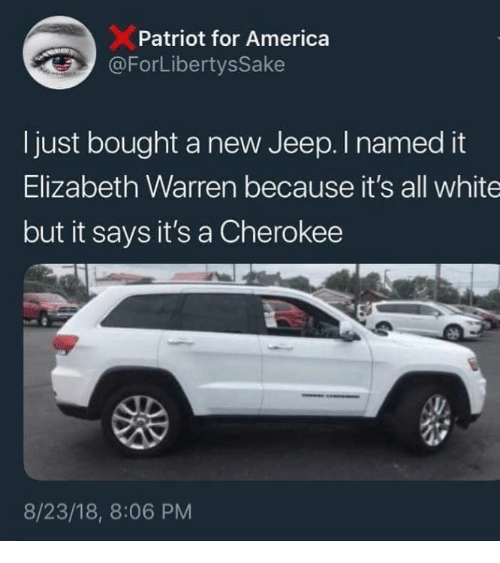 Some people won't like it. 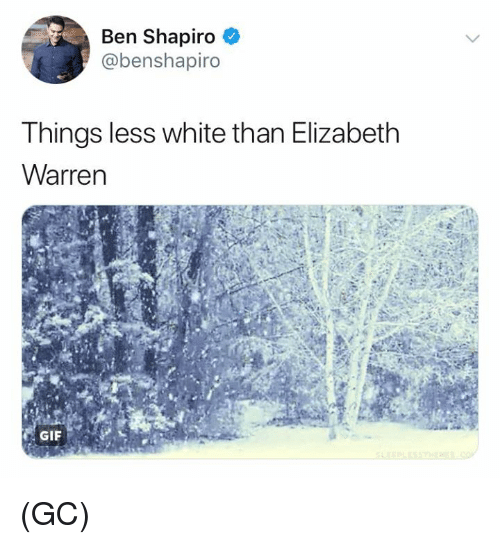 But that's good. 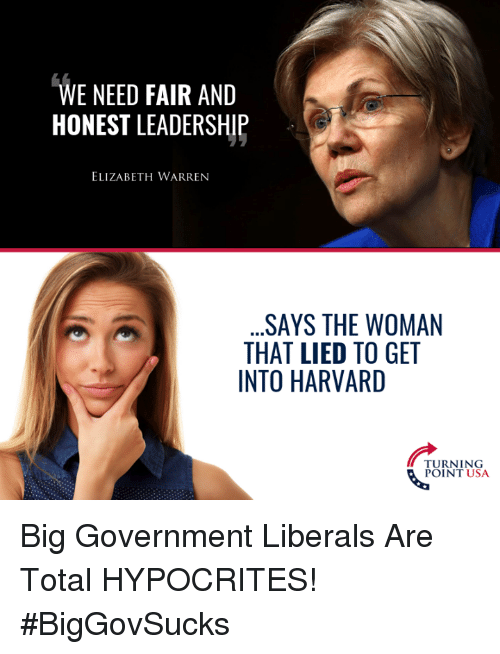 Senator Elizabeth Warren has a comprehensive plan to end government corruption. 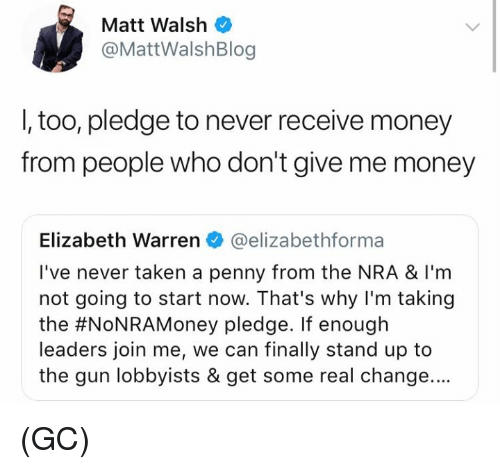 Some people won't like it. 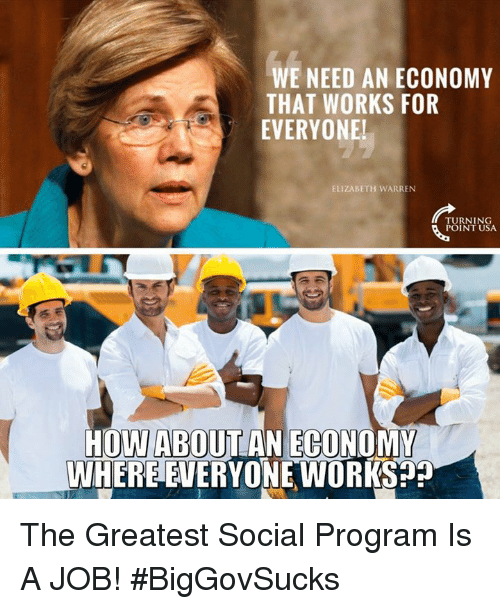 But that's good. 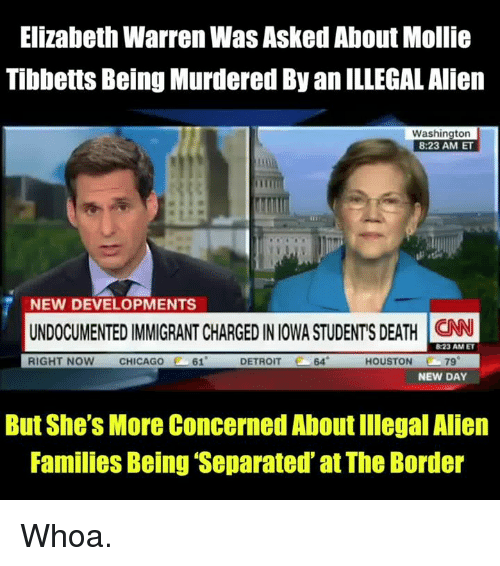 Chicago, Detroit, and Elizabeth Warren: Elizabeth Warren Was Asked About Mollie Tibbetts Being Murdered By an ILLEGAL Alien Washington 8:23 AM ET NEW DEVELOPMENTS UNDOCUMENTED IMMIGRANT CHARGED IN IOWA STUDENTS DEATH N RIGHT NOW CHICAGO 61 DETROIT 64 HOUSTON 79 NEW DAY But She's More Concerned About Illegal Alien Families Being Separated at The Border Whoa. 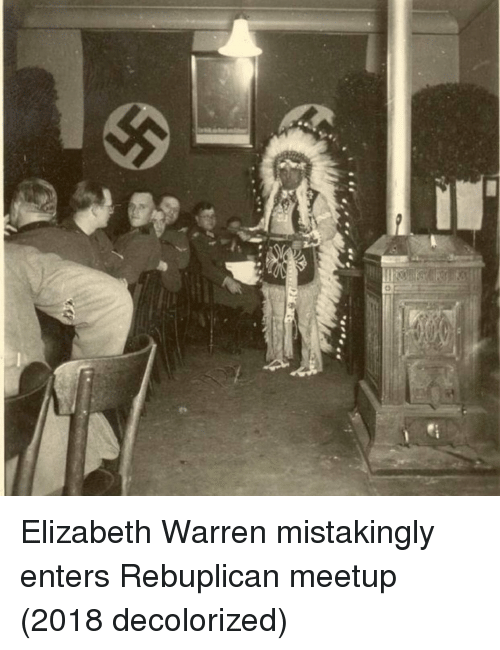 Birthday, Elizabeth Warren, and Family: ASEOCIATED PRESS BET TRANSPA appen "Happy birthday, @BarackObama! 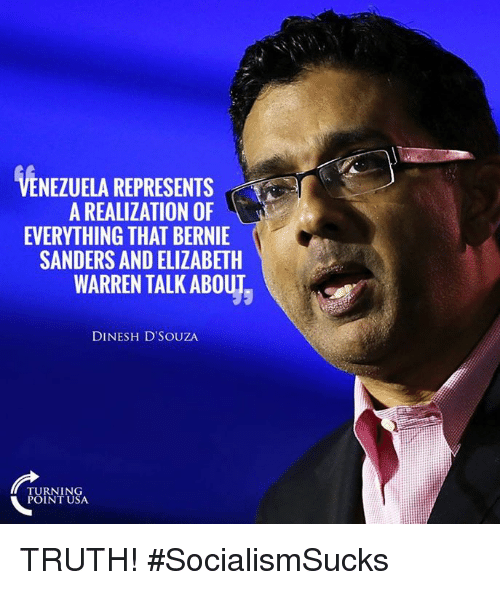 I'm sure you're having a great day with @MichelleObama & the family, but we sure do miss you." 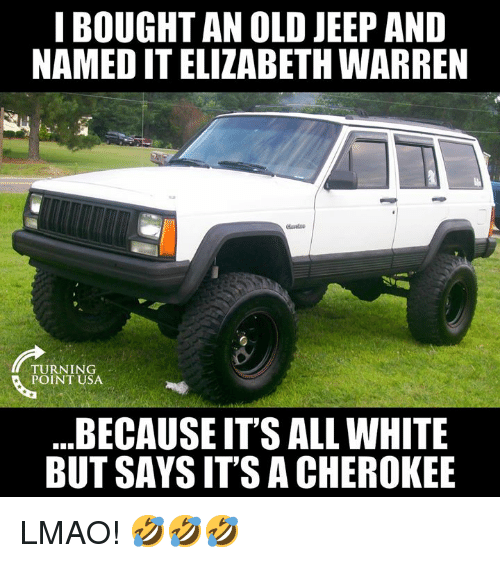 @elizabethforma FOX NEWS channel Earlier today, Sen. Elizabeth Warren wished former President Barack Obama a happy birthday. 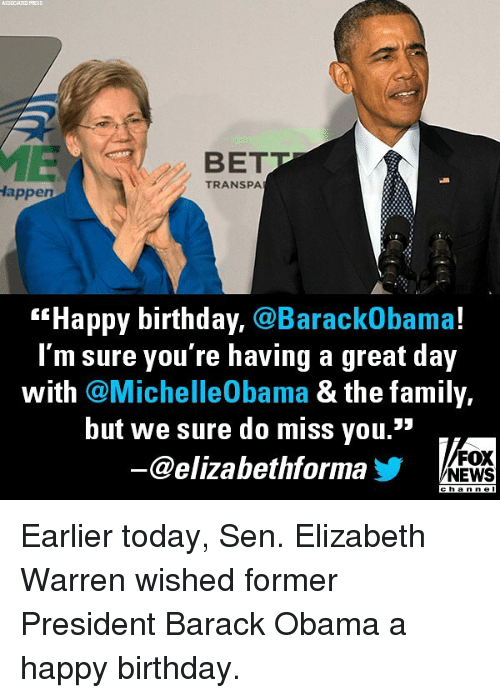 Earlier today, Sen. Elizabeth Warren wished former President Barack Obama a happy birthday. 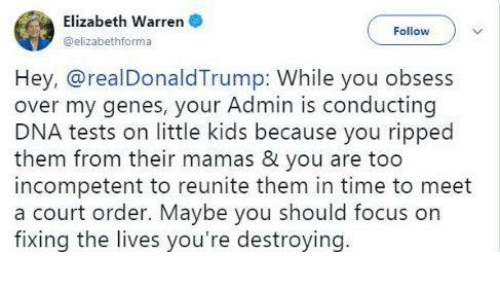 Elizabeth Warren, Run, and Trump: Denizcan Grimes @MrFilmkritik Trump is attacking strong, intelli- gent women like Kamala Harris, Elizabeth Warren and Maxine Waters on a daily basis because he feels threatened by them. 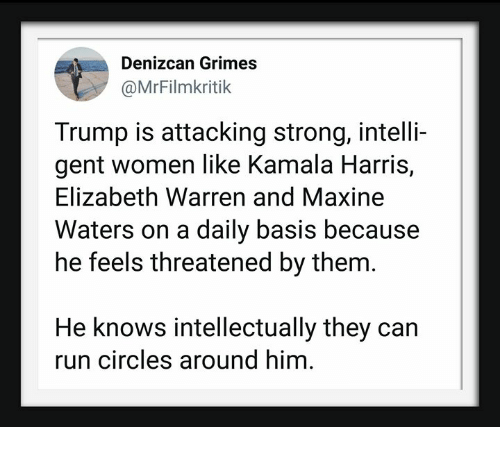 He knows intellectually they can run circles around him. 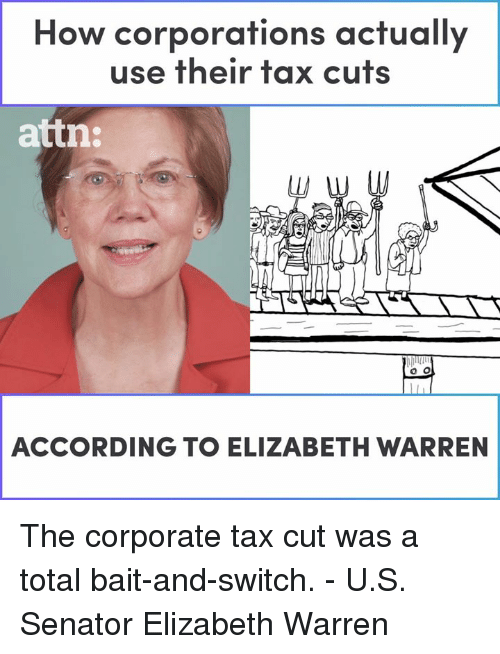 Elizabeth Warren, Family, and Memes: OM U.S. NEWS WOMEN PROTEST I.C.E Jun 29 | Nearly 600 women were arrested at the Senate building while protesting against family separation and detention Hundreds of women staged a sit-in in the Senate’s Hart Office building in protest of family separation and detention. 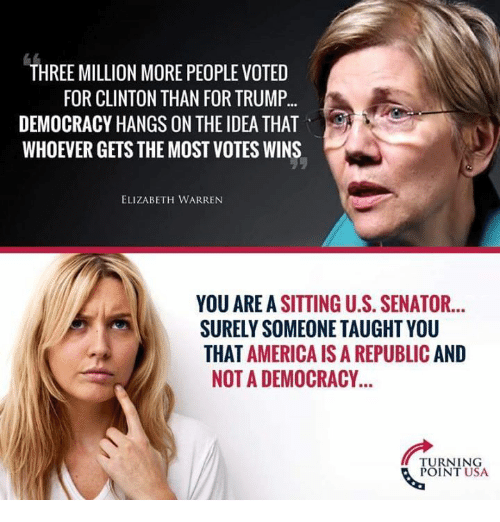 The sit-in followed a morning of protests and marching in DC starting at the Freedom Plaza to the Department of Justice to Congress. 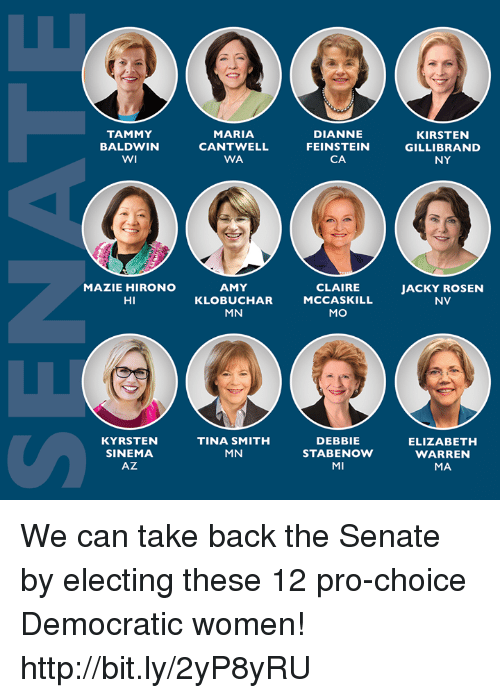 A statement released from the Capitol Police report 575 of the protestors were charged with unlawfully demonstrating in the atrium of the Hart Senate Building. 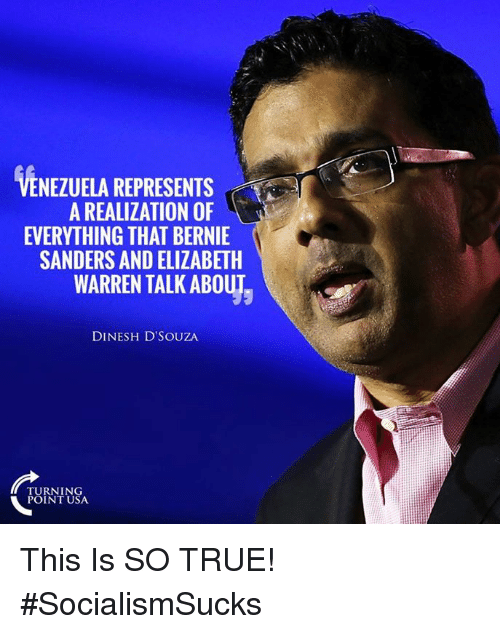 ___ Yesterday’s march organizer, Linda Sarsour, is the co-chair of the Women’s March. 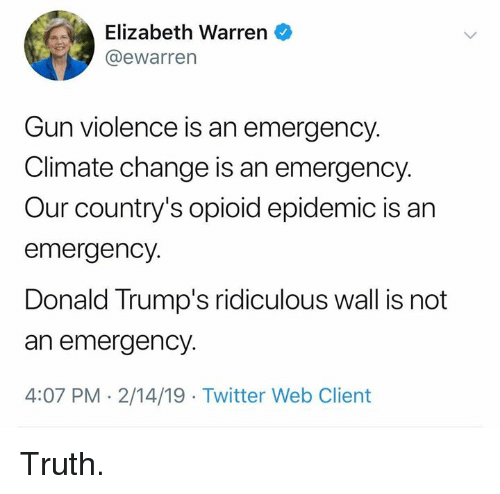 She asked protesters last week if they were ready to risk arrest. 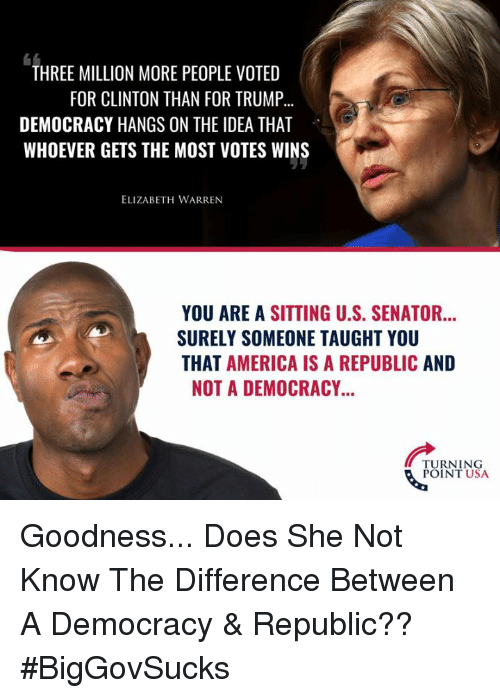 Sarsour said: - “Civil disobedience is a strategic intentional tactic. 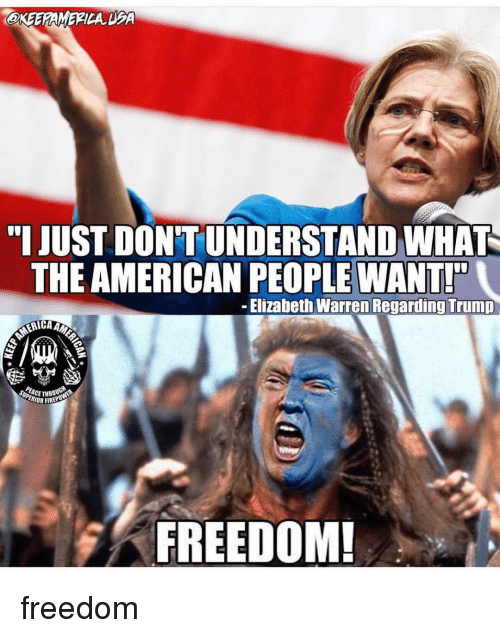 We have to be helpful to the people we claim to fight with and for.” ___ Some lawmakers including Sen. Elizabeth Warren (D-MA) Sen. Kirsten Gillibrand (D-NY), and Sen. Tammy Duckworth (D-IL) came in support of the protests. 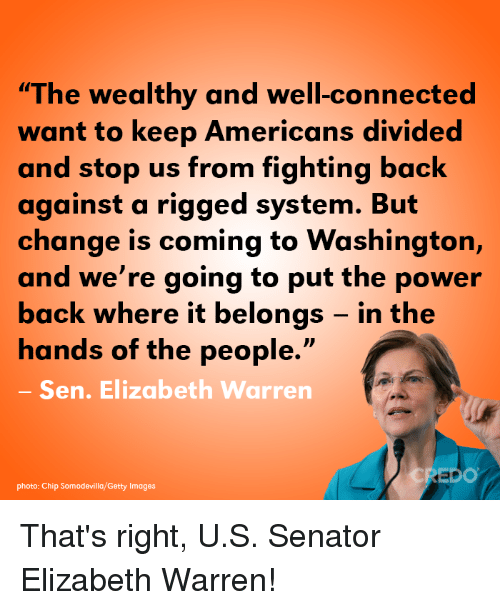 ___ The activists intended to put pressure on the government to speed up the family reunification process and to stop jailing immigrants. 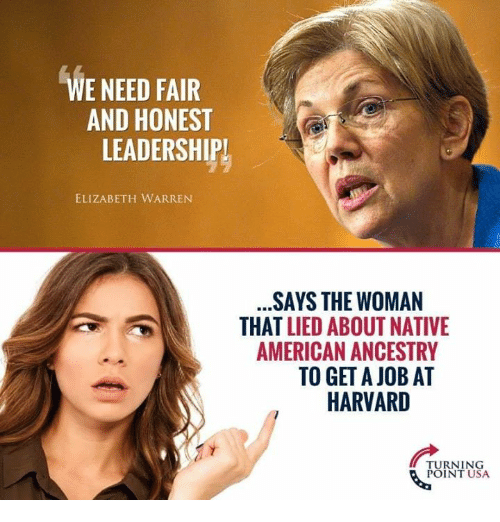 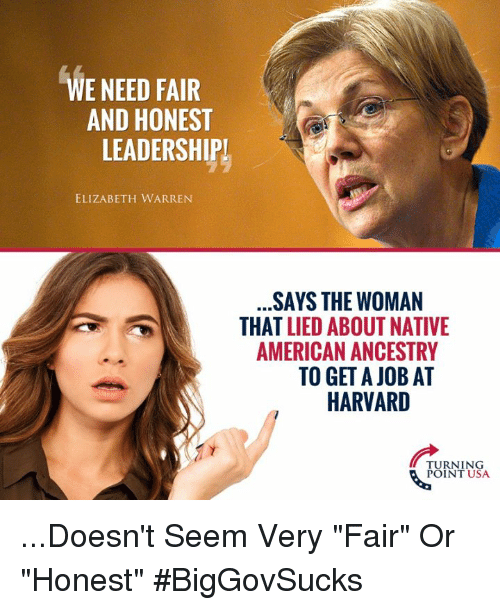 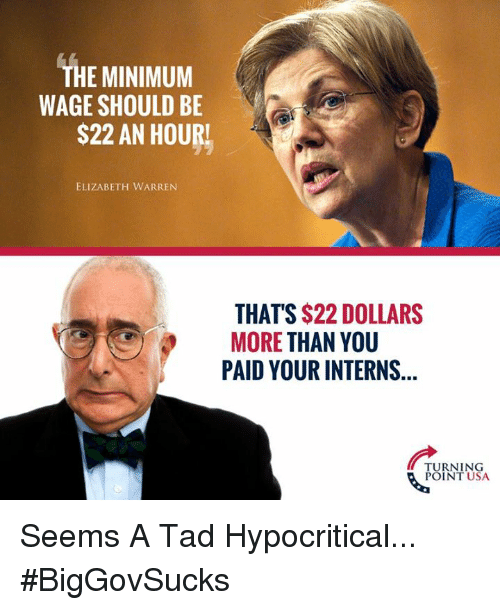 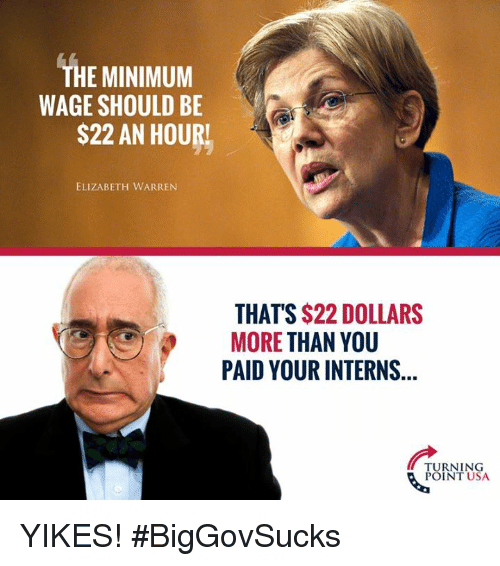 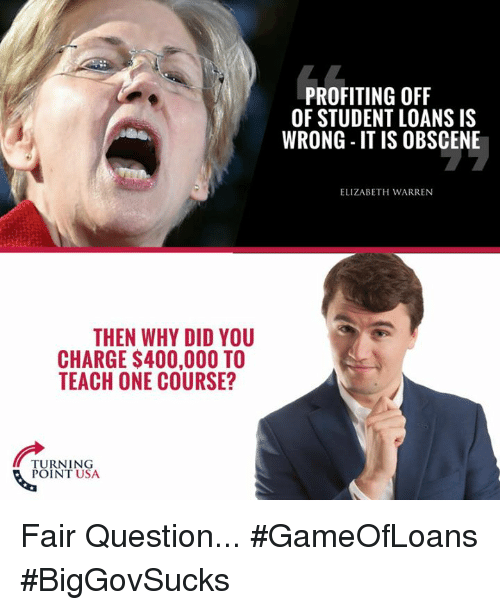 Elizabeth Warren, Energy, and Memes: ELIZABETH WARREN IS "DELIGHTED" THAT A MASSACHUSETTS ENERGY COMPANY IS REDUCING ITS RATES TURNING POINT USA DUE TO THE TAK REFORM BILL SHE OPPOSED Sad!